Spokeswomen Racing’s Cat 4 ladies made a solid appearance at the Tour of Walla Walla, April 18th-19th. Lori was back on the start line for the second time since breaking her pelvis on a training ride and Melissa competed in her first ever Stage Race. Our teammate, Mirna, selflessly served as the time-keeper, driver, coach, mechanic, cheerleader, story-teller and general Walla Walla weekend bicycle wizard …which she actually does all the time, not just for Walla Walla. Saturday morning, Melissa and Lori had early Time Trial (TT) start times of 7:02:30 and 7:16:00 a.m. respectively. Passing all six racers off the line in front of her, Melissa punched out a time of 23:49.72 over the 9.09 mile course for a 3rd place finish. Alphabetically off the line and surrounded by many strong riders, Lori took off – holding her own, with a 26:32.24 finish – riding a standard road bike. It was an early morning, but with the Criterium race only hours away, the Spokeswomen were glad for a few hours of recovery before the 2:15 p.m. event. Shortly after noon —and a nap— the trio headed to downtown Walla Walla where Lori and Melissa raced in their first Criterium of the season. Each had pack finishes which held or helped their overall GC times. Everyone was happy to have a safe race, and Lori moved up 2 places in the GC standings after this stage of the weekend tour! After another early morning, Spokeswomen Racing piled into the van and drove 21 miles to Waitsburg, WA for the final stage of the Tour of Walla Walla. With a gorgeous sunrise, a few words of encouragement, one last snack and a couple jokes, it was time head to the line for the neutral roll-out. The Cat-4 women’s Kellogg Hollow RR was a hilly 37 mile course with a couple sharp corners and wind-gusts that threatened to take out a few riders. Between the wind and a field of strong racers, Spokeswomen wanted to stay safe and ready for action. The first attack of the race sent the top eight GC racers off the front. After the peloton strung out, a chase pack of roughly six tried to close the gap. With Melissa in and out of the break and Lori in the chase pack, the ladies did their best and played it smart. 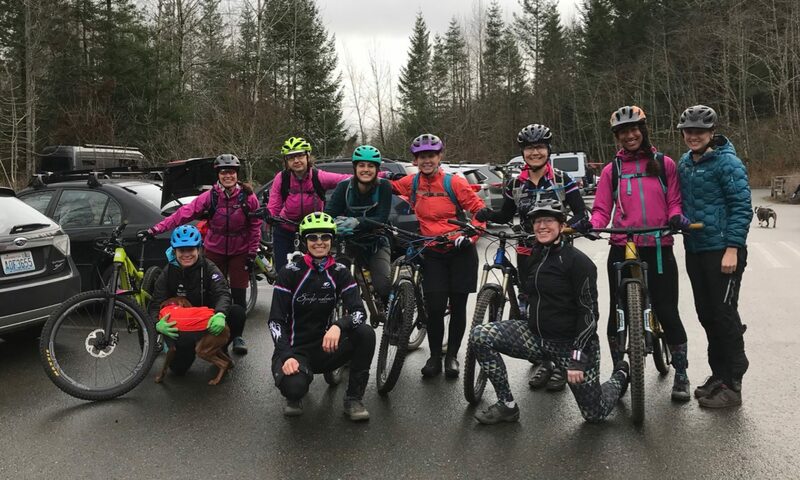 Time checks from the moto-ref were helpful and motivating, while the women faced some terrible headwinds while plowing through the downhills…in their small chainrings. It appeared from the time of the neutral roll-out that Este Racing was working to get Gina Estep enough points to move into 3rd place in the GC standings. The ladies couldn’t shake Melissa from the group for good. Feeling strong, she laid it down for a 3rd place in the sprint finish, just hundredths of a second behind a U-18 Canadian rider, Emeliah Harvie, and Malia Greening of Este Racing. A few short minutes later, Lori earned a 9th place finish to raise her overall standing, again, by two places. With Melissa’s time bonus of four seconds and Lori’s top-10 finish, Spokeswomen took home 3rd and 11th overall in the Tour of Walla Walla. It was a fun weekend of racing with awesome teammates! Thanks to Allegro Cyclery for putting on the 18th Tour of Walla Walla, Spokeswomen’s 2014 sponsors and everyone who supports women’s cycling through racing, activism and community involvement.